New studies reveal the high levels of hormones and antibiotics in fast food. These chemicals interfere with normal body physiology causing dysfunction at the cellular level and ultimately diseases. These include cancers, diabetes, lowering the body’s natural immunity and psychological problems. 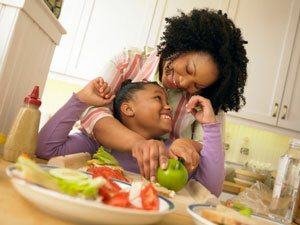 Stand up for the health and well-being of yourself and your children. We live in a country where the food industry and the drug companies have a strong political hold over us. This is due to the high number of lobbyists in Washington who control legislation affecting our foods, drugs,and support big Pharma. Drug companies want to sell drugs to make money, drugs that cost pennies to make they sell for hundreds of dollars, drugs are being used off label to treat inappropriate patients are causing death and disability for thousands of American citizens. It’s time to stand up for the health and well-being of ourselves and our children. Drug companies are out of control, legislators are nothing but token participants, paid off so that the drug companies get their way. You must realize that the intentions of big Pharma & the food industry is to make billions of dollars, at the expense of our health and well-being. We, at Grusky Chiropractic Center, PA are committed to delivering modern, natural, no side effects, healthcare in an environment of love and caring.